Dom Pedro Lisboa has 16 multipurpose rooms that can accommodate up to 400 seats in theatre style. The convenient and spacious foyers and beautifully decorated public areas together with an experienced and professional service, attentive to the details, has guaranteed this hotel the recognition of "Best Corporate Hotel" by the Publituris Portugal Travel Awards. 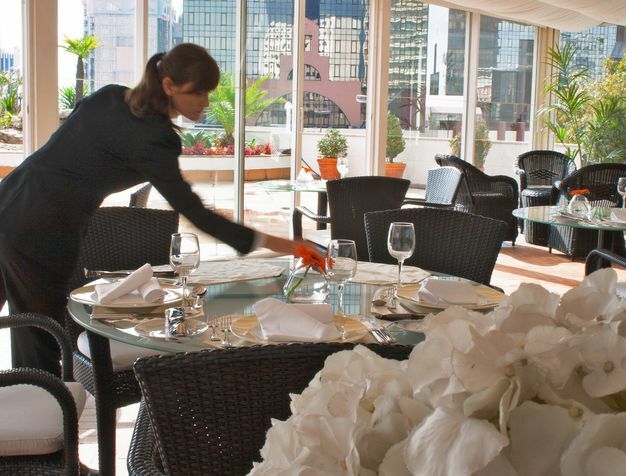 This Italian restaurant located on the third floor of the hotel offers a warm and prestigious atmosphere and an exterior terrace that fills the room with light. Ideal for a get together after a meeting day, accompanied by a cocktail overlooking the vibrant Lisbon city. Located on the top floor of the hotel, offering a private terrace with exclusive panoramic views over the Tagus River and the Castle, the suite includes a large lounge, dining and seating rooms. Used as the hotel's owner house for several years, it has kept its contemporary style and homely decor, making it the ideal venue for more intimate events.